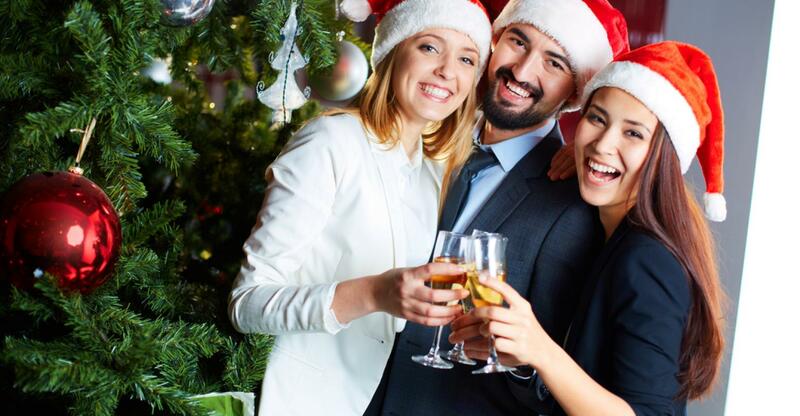 Celebrating the holidays at work is important to building your business success, and throwing a great Christmas party is a great way to improve office morale and endear yourself to your employees. Make sure you find appropriate gifts that your employees will actually love and cement your status as the best boss ever this holiday season. You can’t go wrong with some delicious treats during the holiday season, especially during the annual Christmas party. Whether you bake a batch yourself, or order bulk cookies from a delivery service, your employees are sure to appreciate the gesture. Don’t be surprised if you find crumbs around the office. You can also elect to send a chocolate truffle variety, cater a delicious meal from a local restaurant favorite, or ship in some bubbly to celebrate a year well done. These gifts can be enjoyed from the office and are sure to be received with open arms. It’s a great idea to take your employees on a trip as a group present, just make sure it’s to somewhere fun and not work-related at all. Whether it’s an excursion to a local Dave N’ Buster’s for a day of childlike fun (and probably a little bit of booze), a group trip to a local sporting event, or even a day at a roller rink, your employees will get to partake in camaraderie and let their hair down for a while. Happy employees are productive employees, so do what you can to improve their spirits this holiday with the perfect experience gift. If going out of office proves to be too difficult, hire an entertainer to come in for the afternoon. A hypnotist is always an office hit, and with some great snacks nearby to munch on, your employees will be thanking you for this gift for years to come. It will also have the added benefit of helping to make your office work as a team. If your employees are constantly jet-setting around to get their job done and are one of your buisness travellers, give them a gift that will make their travels a bit easier in the upcoming business year. Look into TrakDots, luggage location devices that will make sure they always recover lost baggage quickly and efficiently. A carry on cocktail kit will help them enjoy their favorite libations even thousands of miles up in the sky, and be the perfect ending to a hectic business trip. Grab them a trendy scratch-able world map so they can scratch off the exotic locales they’ve been to. It will make for great office décor and be an inspiring talking point when they’re speaking with new clients. If you’ve got employees that are attached to their music devices all day and you rarely see them without headphones, help them listen to their favorites by purchasing each of them premium memberships to a music streaming service like Pandora or Spotify. You can throw in a pair of nice earbuds for each to sweeten the pot and make for a truly appreciated and sure to be well-used Christmas gift. Not to mention, this is also one of the top gift ideas for remote team employees. Purchase ugly Christmas sweaters online for your staff and have an ugly sweater Christmas party that will be one for the books. This will combine your gifts and your company party in one fell swoop. You can choose from a variety of hilarious designs that your employees will surely get a kick out of, and even play to personal preferences with team colors for the sports buffs in the office. If it’s too much stress for you to plan your own Christmas party on top of the increased workload that seems indicative of the holiday season, hire a corporate event planner to take a load off during the hustle and bustle. Your employees will appreciate the professional care taken to ensure the company party is as nice and fun as possible. It will also give you a chance to enjoy mingling and chatting without having to worry about the party details. While it is a nice idea to take employees out on an excursion or to bake some warm homemade cookies for them, lets be honest – does anyone really have the money or time for that? If you are not a manager, and you are just looking for a gift ideas for coworkers, none of the above ideas may fit your position, budget or schedule. Instead, trying gifting your Secret Santa with these office gifts that they are sure to love. If you have a coworker who is obsessed with all things beauty and skincare, a small desk humidifier could be the perfect gift. Central heating in the office can wreak havoc on anyone’s skin during the winter. A desk humidifier is sure to keep their skin supple, soft and glistening all season long. Thanks to this one’s compact size, your coworker will never have to worry about not having space to work on their desk. Keep this gift in mind if you want to find the absolute best office gift to help your skincare-obsessed colleagues still enjoy life in the office during even the dreariest seasons. Type these products into Google, they are some of the best office gift ideas you will find. They are certainly better than boring old photo frames with stock photos still in them. If you get one of these gifts for your office gift exchange, you are sure to give the best gift your office has ever seen. If you’re on the hunt for Christmas presents for your employees during this year’s Christmas party, choose from this selection for a variety of price points that your employees are guaranteed to appreciate. Let them know how grateful you are for their hard work the past year with thank you sayings and a token of your gratitude this Christmas. Great post! I think that simple and unique gifts are the way to go! Thanks for sharing.